What makes these leaders stand out from the rest? IBM's Watson did some digging. From Bill Gates to Meg Whitman to Elon Musk, today's most renowned business people innovate, inspire and create. However, what makes these individuals so different from the rest of us? What traits do they possess that make them so successful? 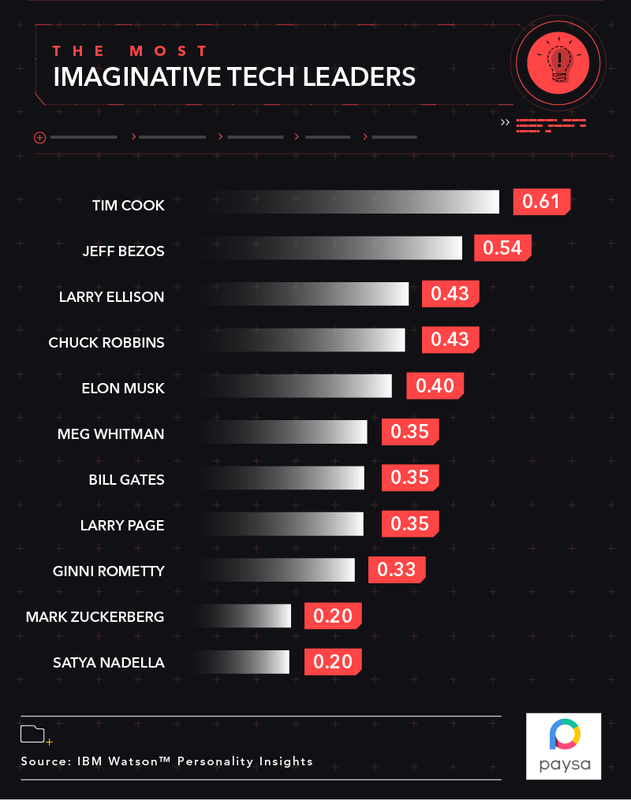 Of all top tech leaders, Mark Zuckerberg seemed to exhibit the least amount of top common success traits identified by Watson. Although that doesn’t mean much -- the Facebook co-founder and CEO just has his own set of unique traits that make him stand out. 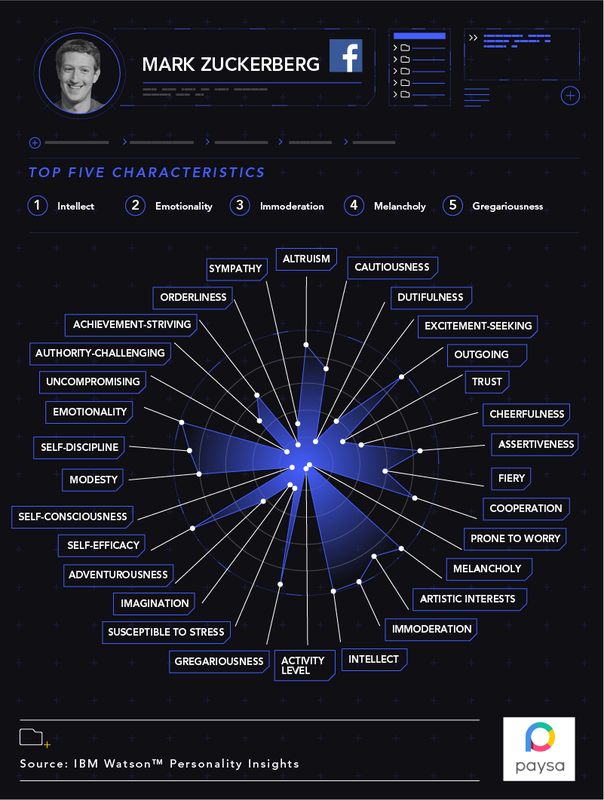 Rather than being assertive or cautious, one of the youngest, richest leaders of Silicon Valley was identified as having intellect, emotionality, immoderation, melancholy and gregariousness as his top five traits.